The Severn Valley Railway has announced that steam locomotive No.7819 Hinton Manor has returned home. 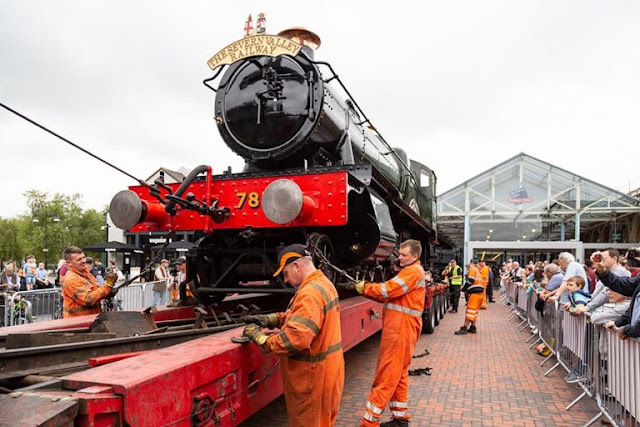 It is a long-awaited return for the locomotive, which has been on display at the McArthur Glen Designer Outlet in Swindon, which was built on the former Great Western Railway works. The locomotive wias removed from the building by the SVR and taken back by road to Kidderminster thanks to Allelys Group. The locomotive is on public display at Kidderminster Station from Thursday 23rd August right through the Bank Holiday weekend. 7800 Class No. 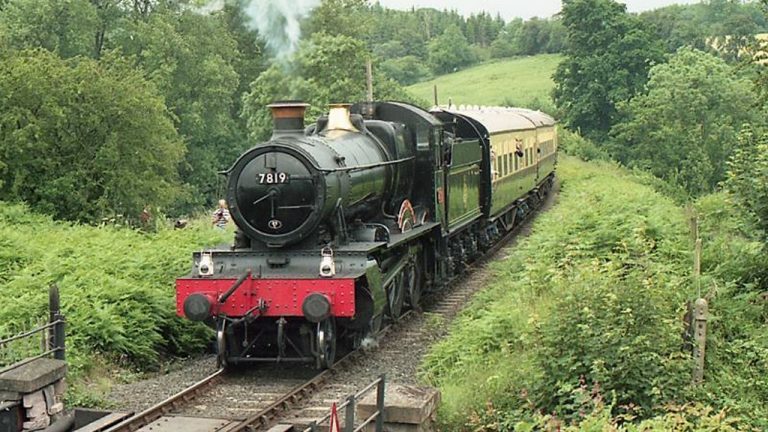 7821 Ditcheat Manor, was moved out of the Steam Museum and exchanged for Hinton Manor at the McArthur Glen Designer Outlet. This engine is now open to the public for viewing.